Fermenting spirulina can be very beneficial, allowing its nutrients to be more easily absorbed. During fermentation sugars are converted into lactic acid. It kickstarts the digestion process and makes it easier for your body to get what it needs. Spirulina is often fermented for its protein content. Fermenting protein makes the individual amino acids more easily available, which means you have a better chance of absorbing them and getting your use out of them. The process of fermentation can be complicated but it doesn’t have to be. I’m going to go over a very simple and easy to follow process that anyone can do, and it works just fine. First you are going to start out with a probiotic, in this case I recommend a kefir starter. Mix the kefir in with semi-warm water until it is thoroughly dissolved. If the kefir is clumping you will need to add more water and stir more. And if the mixture is very thin you may be able to add more kefir. Just make sure its all dissolved. Add a little bit of sweetener into the mix. Usually I go with a natural sweetener such as yakon root (powder form). Bee pollen is also good. Add in your spirulina powder. The amount is up to you really. Again, just make sure it mixes in okay. Now its ready for you to bottle the mixture. Glass jars are probably the best, but you can use whatever really. Make sure you have a small amount of air space at the top, and seal the lid tight. Store the jars in a cool, dark place. Anywhere from 70-75 degrees I would say is ideal. The amount of time you should let it ferment will vary depending on the temperature. Higher temperatures speed up the process. I would suggest you let it ferment for anywhere from 12-24 hours. And thats it. What I do next is refrigerate the mixtures just because it tastes better cold. The fermentation process will continue in the refrigerator, but not very much. There are a lot of different ways you can go about this, but this is a very simple way that works. I’ve done it, and it seems to work good, but is there really much benefit to fermenting your spirulina? The answer to this question is still up in the air as far as I see it. There are some people out there that swear by eating fermented spirulina over non-fermented. But these people often tend to be those that are selling fermented spirulina, so there is a conflict of interest there. The fact of the matter is that spirulina is easily digested WITHOUT fermentation. The individual cell walls of each spirulina cell are made up of mucopolysaccharides, which are easily digestible. Your body has no trouble breaking the wall down and getting to the nutrients in the first place. Spirulina does not contain indigestible cellulose. While fermenting your spirulina may make it easier to digest, there is just no need to do this in my opinion. 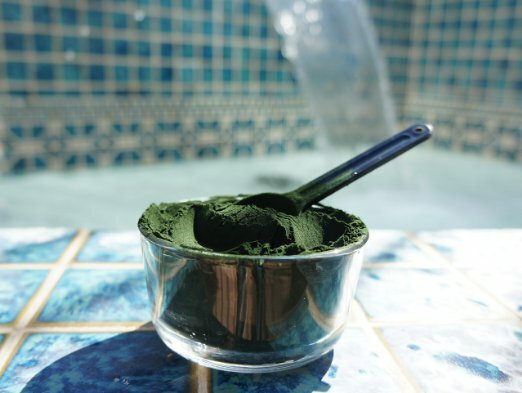 Your body is already plenty capable of digesting spirulina as it is. NextGet Iodine Naturally – Best Organic Iodine Supplement?